*Bayern is interested in the first place of Group F but we should keep in mind the draw can be a convenient result for both sides as they will automatically advance to the Round of 16. 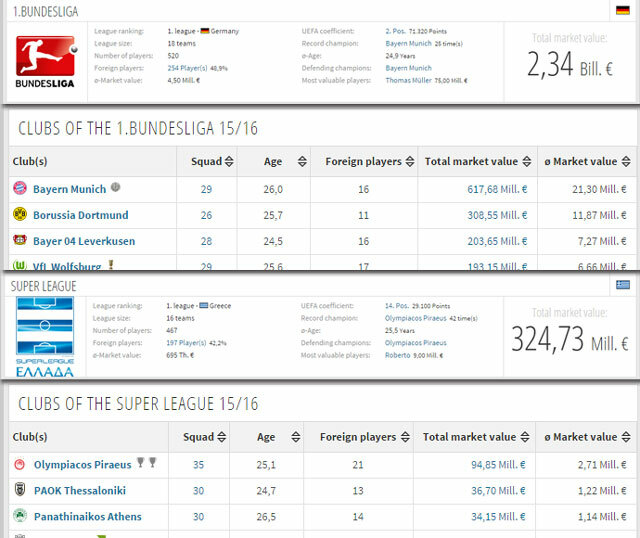 The numbers of Bayern Munich are frightening. The German club has played a total of 16 official matches in all competitions with a record of 14W-1D-1L. In case you are wondering, their only defeat was from Arsenal (2-0, Champions League) while the draw was against Eintracht Frankfurt (0-0 for 1.Bundesliga on 30/10/15) ten days later. With an average of almost 4 goals per game and a roster value 4 times the value of the opponent it is quite clear there are expected to be in control and end any theoretical scenarios for the first place. Coach Guardiola will have to deal with five problems but the quality of his roster allows him to have more than one solutions for every one of them. Olympiacos has probably one the best rosters of the last decade in Super League and this explains their 10/10 wins until now. The bad news is they have been out of action for two weeks as their Saturday’s away (rivalry) battle against Panathinaikos was postponed. The riots that took place before it, are expected to give them three more easy points without even facing the hated rival but the bad news is they were in need of a strong test before facing one of the strongest clubs in the world. The overall record of the Greek Champions is also impressing as they have 12W-1D-1L after 14 official matches. The defeat came from Bayern (0-3) on 16/09/15 while the draw was in the Cup match against Platanias (2-2) where coach Silva had left 11 players out because he wanted to check the level of players that are not used as often. The away win against Arsenal (2-3) has boosted the confidence of the team for difficult away matches like this one but it would be a huge mistake to risk too much against such a dangerous opponent. There are four problems reported. It will be extremely difficult to see Olympiacos getting a positive result today. There is a chaotic distance between the two clubs in terms of quality and the players need to be extremely focused and patient to keep Bayern away from their usual 4 goals average. The numbers show we should expect high scores like 3-1 or more. Another interesting option is a result of Over 3.5 goals @ 2.20. It is well known the Germans do not stop even when they have scored 5 times. Believe it or not, this is their way to respect the opponent. Bayern is well known for emphatic wins at home although I do believe Olympiacos will score (why not more than once) to help us get paid with this bet as well. Whatever the case (emphatic home win or a thriller-battle with goals from both sides) this game looks perfect for a good number of goals. 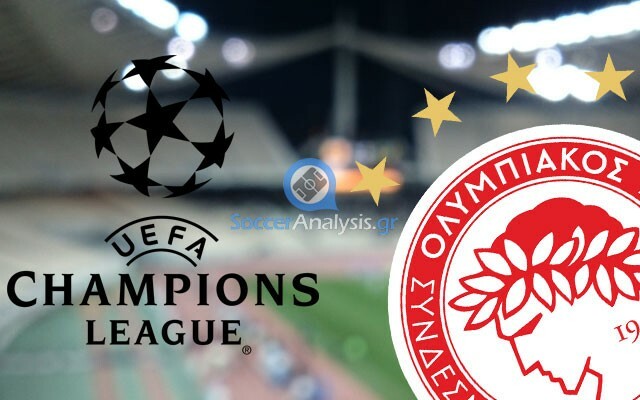 Bayern – Olympiacos: The numbers show the chaotic distance of the two clubs.